Hand-Made crochet and sparkle tulle dress. 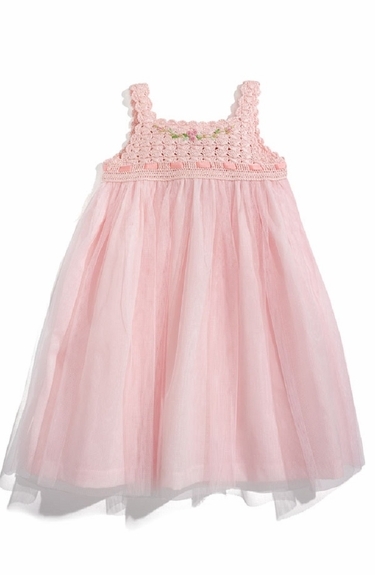 This crochet and tulle embroidery is fully lined so it won't touch the baby's skin. There is no way to describe this dress; it is an heirlooms made with attention to every detail! Scroll down to add the sweater!